Add your internet radio station on WEB RADIO ONLINE and create your own station page. Increase your exposure worldwide! Listen to all your favorite music by choosing your favorite genre on WEB RADIO ONLINE Jazz, Rock and Classical music one click away. 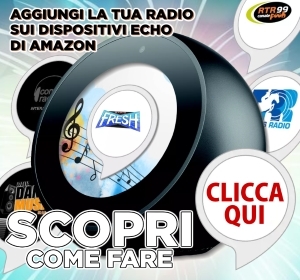 Would you like to have your own station on webradioonline.it?